Hello, lovelies! I am quite excited for the coming weekend because we are going home to the province. I miss my family so much; my Mom, my sister, my nephew and the fur baby in the family, Miko. The last time we went there was 1st of January and the family was complete. It's a very good start of the year for our family. I can feel the warmth and love that time and it feels good up to now every time I think about it. Anyway, before I get carried away with my emotions, let me share with you the style post featuring ZAFUL once again. Just click the photo below or the link below to see more photos and outfit details. I owned a very few black dress that is why when I saw this plain cami knitted black dress, I didn't hesitate to add it to my shopping cart. 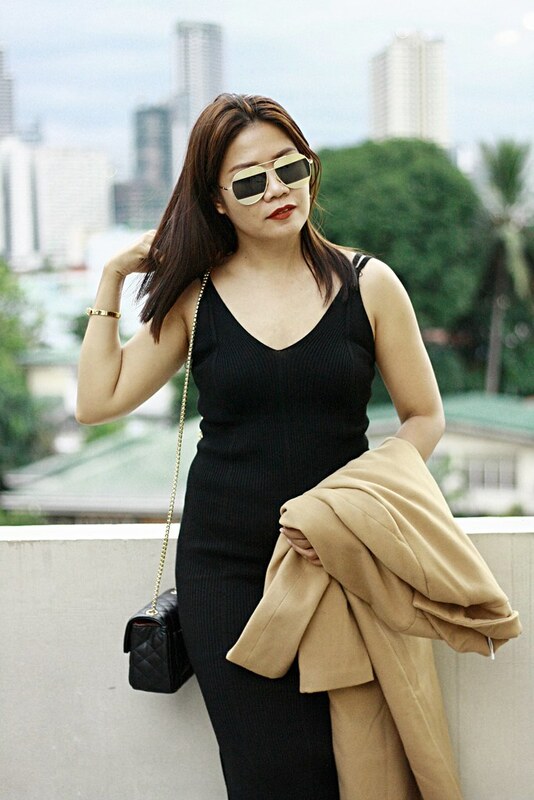 As they say, you'll never go wrong with black which is indeed true. I love this dress because it just fits perfect for me; not too tight. This is available in one size only but I am surprised that it fits like it's really my size (Medium). It has a short slit on one side which looks great. The material is nice and it was neatly sewn. I think I might order the other one in color brown. I highly recommend this black dress.